This simple recipe for peppermint brownie batter dip is great for parties and entertaining. 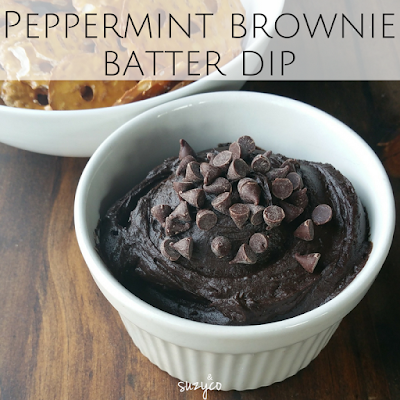 It is perfect with pretzels or graham crackers. In a mixer cream together the cream cheese and butter. Add more or less milk for desired consistency. For more recipes, nutrition tips, and inspiration for your wellbeing, subscribe today!